“Australia First Party contested a by-election held on April 8 for the City of Blacktown’s Ward 2. The candidate was Cassie Orrock. 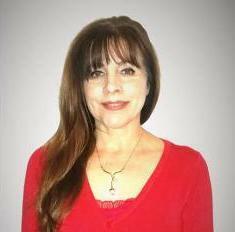 She received some 4747 votes for 15.85%. The party has noted in its campaigning that Blacktown City is an area scheduled for refugee settlement and a CBD development which will see the ‘usual’ model of high rise buildings (commercial and apartment) placed near the Blacktown railway station. It is expected, as other suburban developments run true in Greater Sydney, that the new population will be largely Chinese. 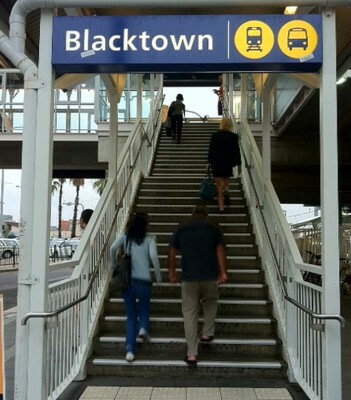 The Blacktown City is a large area with certain migrant groups entrenched in its east and at Glenwood and a working class and poorer Australian section in its west and with particular pockets in different suburbs where Housing Commission homes are common and occupied by Australians. Australia First Party also ran Cassie Orrock for Ward 5 last September. She received 2525 votes for 8.65%. Particular lessons from that effort were applied. The party published high quality materials thanks to an able team, widely distributed them and was reported in the local press which is, of course, distributed to all homes. As stated, the party received 4747 votes for 15.85%. This was the highest percentage and the highest actual vote tally received by the party since it was re-founded in 2007. The Liberal Party did not contest the by-election, a matter which will be discussed in detail. The Absence of the Liberal Party: Where did our votes come from? For whatever reasons, the Liberal Party opted not to contest the poll. There may be those who say that somehow people voting for Cassie Orrock had been Liberal voters with no box to number and some voted casually for her rather than vote elsewhere. This notion can be dismissed. In that connection you also recall the point usually repeated over and over by certain media, the extreme-left and some so called ‘patriot’ types, that Australia First Party is so well known to be a number of negative things no one beyond a certain core would ever support it. If that is so – then, there is a problem with the mantra. That is a point if the ‘Liberal voter with no box to number’ line – is run. In any case, as we shall see, our votes largely came from elsewhere and the mantra is dead in any case. We shall start with the Green vote for a reason that will become obvious. While it is possible that the Greens attracted some votes from those who voted Independent in 2016, it can be discounted that any real number of loose ‘Liberals with no box to number’ voted Green in 2017. Liberal voters seldom have been noted to shift to the Greens. The same may be said of Christian Democrats. The likelihood is that the Green vote was boosted by defections from Labor. If say 2% of the Independent vote shifted to the Greens, the remainder were Labor voters. It was an open secret that Kevin Gillies was not popular with some Labor voters. Our polling workers report sour words even from Labor polling workers about their own candidate. The defection of perhaps 5% of the Labor vote to the Greens means in effect that the actual swing to Labor was even higher that the 8.01% the figures denote. Given that Christian Democrats are not noted to cast votes for Labor and allowing that a small number of previous Independent votes went to Labor, we are looking at possibly 11% of the Liberal voters going to Labor. That is quite possible and indeed, very likely. Large swings against the Liberals occurred in another State Parliament seat (West Gosford) on the same day. We do not overstate the notion of the ‘swinging voter’ and so forth. It was a chance for voters to punish an unpopular State government, albeit at local level. It is common for Liberal voters to vote for an Independent when no Liberal candidate appears. Independent voters from another time may continue to seek an Independent if one takes their fancy. It may be assumed that some of the Independent voters from 2016 voted for Kittu Randhawa. Indeed we would be more-or-less positing a four way split of these votes from 2016. It would be likely that some of the Christian Democrats would have voted Independent. However, as seems very likely to our thinking here, most of Kittu Randhawa’s votes were also Liberals. So, with a couple of per cent or so from the Independent pool of 2016 and the Christian Democrats of that election too, she drew some 9.5% of the former Liberals. So, what was the Australia First Party vote? and our wild card, about 3% of the former Labor voters – which means therefore that the swing to Labor amongst Liberal voters was even great still. As noted, they do not vote Labor or Green when these alternatives face them. It is reasoned that the Christian Democrat vote in 2016 was in some ways a frustrated anti-immigration vote. The Christian Democratic Party (CDP) makes noises about Islamism and Muslim immigration and so forth, and it does address issues such as crime and particular moral questions. Agreed some Christian Democrats are indeed advocates of ‘diversity minus Islam’. However, the CDP vote in 2016 was relatively high and was a vote clearly not impressed with the Liberal Party team which was led by a prominent Filipino (Jamie Diaz) who manages an Asian political mafia which dominates the Liberal Party in the area. Sliding to Australia First Party, given local conditions was – easy. Australia First has always resonated with a small core of traditional Labor type voters who oppose immigration and globalization. Given an opportunity, this minority will cast a ballot for us. Cassie Orrock polled well at booths such as Labor park, Seven Hills North, Seven Hills High School, where this group is located. These voters were noted by our polling workers. Some Independents would consider Australia First Party outside of the machine politics in Blacktown. It has been observed that since the Federal poll in 2016, some Liberal voters have become volatile and have indicated support for other parties from Pauline Hanson’s One Nation to the Conservatives and others. So what does this composite vote mean? 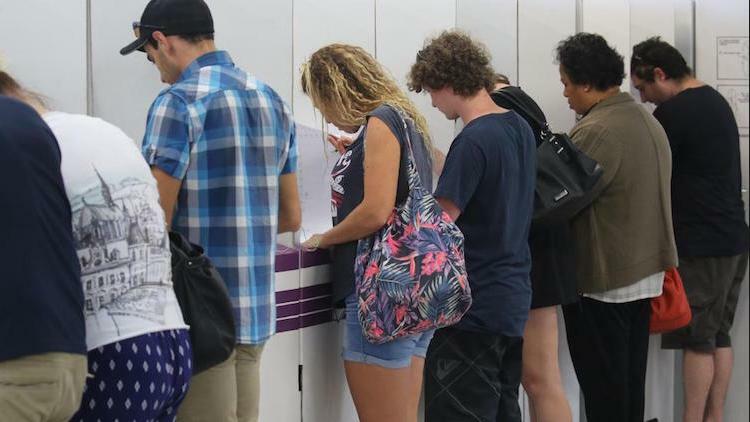 Given a similar slice of Liberal and Labor voters casting ballots for Australia First, we have overcome the notion of a ‘Liberal with no box to number’ notion as the source of our vote. These voters are voting with the same intentions – an ideological one. It means generally that the vote for Cassie Orrock was a deliberate vote and it was cast for an ‘outside the system party’ with strong views on immigration. The candidate Kittu Randhawa is of Indian ethnicity. During the campaign, she alleged that Australia First Party stickers had been placed over her posters as acts of racial intimidation. This allegation was, in our estimation, a call to voters of Indian origin and to others of non European ancestry, to appreciate she was a ‘target for racism’ – and ergo that there are racists centred on Australia First Party who are clearly ‘whites’ and without her voice they may gather strength. We may now speak of the racialization of voting in Blacktown City. The open call for racialized voting was made by Kittu Randhawa. Of course, it was an achievement on her part to receive votes or 13.43%. We have discussed the ‘political’ origin of the votes, but we should refer to the ethnic quality of her vote. Reports given to Cassie Orrock by her polling workers state it plain that at any and all polling booths, persons of Indian origin appeared to be strong supporters for Kittu Randhawa. However, it was noted also that other non European persons appeared to have taken her how to vote cards and voiced support for Randhawa. These other persons included some African voters, Sri Lankans and Chinese persons. Caddies Creek Public School (Glenwood). The Glenwood area is noted for a high Indian population. We may also note a pocket of Indian Sub-continental people in Marayong. 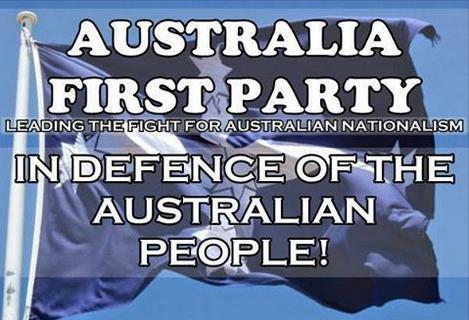 Australia First Party certainly does not deny appealing to Australians and doing so on a nationalist programme. We are hardly hypocrites. However, a pattern has now been set and will be continued an ‘normal politics’ in Blacktown. We have little doubt it will become the norm elsewhere. Australia First Party has achieved a significant breakthrough in being accepted into a local community. This effect can be developed and deepened throughout Blacktown City to translate into membership and positive influence at street level. The party has earned a high electoral vote which has not been reported in the press or amongst our critics, a fact which suggests to us that there is a certain degree of consternation at the ability of Australia First Party to demonstrate a following.